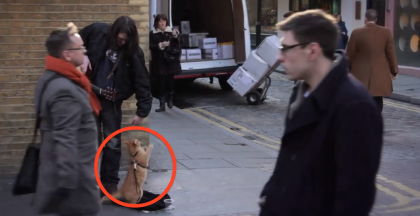 Kitten Can’t Walk, Has Broken Legs, But Watch What Big Brother Is Doing… This Melted My Heart. 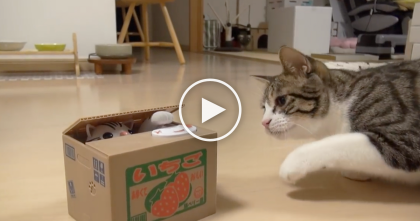 For some cats, life isn’t easy. This kitten was born with broken legs and cannot walk but he was introduced into a new family with another cat with a similar problem. They’re both getting along great together! The older brother is teaching the little one how to manage and enjoy life with broken legs. 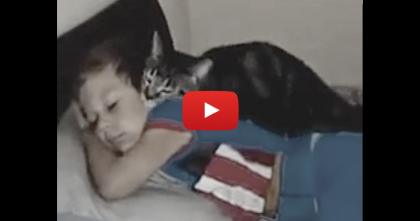 Even though his back legs don’t work, big bother teaches him how to be strong and it’s a story that will bring tears to your eyes! 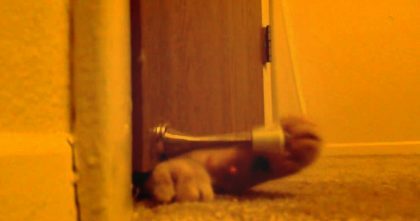 He Noticed A Stray Cat, So He Nursed It Back To Health, But I’ll NEVER Forget What Happened Next! 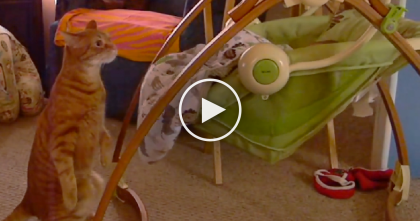 When Kitty Sees Baby In A Swing, Keep Watching To See What He Does… SOO Cute! !